At Infinite Hospice Care we provide a variety of services that are custom-tailored to our patient’s specific needs. One of these services includes home health care in Encino. We believe everyone should be able to receive the care they need in the place they love – home. Our commitment to you is to deliver home care with compassion, excellence, and reliability. 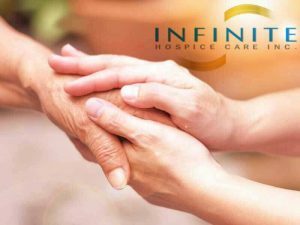 Infinite Hospice Care has continued to serve clients and their families with a level of care that surpasses even the highest bar that you can set. We are one of the leading care providers in the industry, with years of experience offering a variety of home health care services to families who need it. Taking care of the people that we care about is an important choice that we need to make at some point, particularly as they become limited to what they can do on their own. We make it easier for you to get the best home health care possible, working with you to understand what needs you have and what type of care you’re looking for. For many people, the benefits of home health care in Encino are extremely attractive. Not only does it allow you to provide a level of care that family members want, but you can do so in their home, reducing the stress that can come from new surroundings. Other home health care services provided by Infinite Hospice Care include continuous care and respite care. We believe that allowing a patient to remain in their own home will make it easier on them physically. In addition, the care provided by our trained staff and engaging activities will help to lift their spirits and improve their emotional, mental, physical, and spiritual health. Infinite Hospice Care works closely with you to make sure that you have everything you need throughout the process, and we work with an array of compassionate, professional caregivers who are able to handle your needs effectively. If you’re looking for the best home health in Encino, then Infinite Hospice Care is the best place for you. Our patients’ needs come first and we provide 24-hour on-call support in order to serve you better. For more information on our wide variety of hospice care services, contact us at: 818-782-2516.